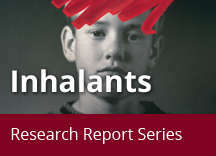 Home » Publications » Research Reports » Inhalants » What are inhalants? Inhalants are volatile substances that produce chemical vapors that can be inhaled to induce a psychoactive, or mind-altering, effect. 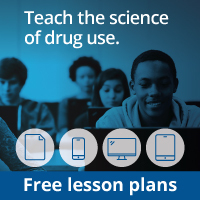 Although other abused substances can be inhaled, the term "inhalants" is used to describe a variety of substances whose main common characteristic is that they are rarely, if ever, taken by any route other than inhalation. This definition encompasses a broad range of chemicals that may have different pharmacological effects and are found in hundreds of different products. As a result, precise categorization of inhalants is difficult. One classification system lists four general categories of inhalants — volatile solvents, aerosols, gases, and nitrites — based on the forms in which they are often found in household, industrial, and medical products. Volatile solvents are liquids that vaporize at room temperature. They are found in a multitude of inexpensive, easily available products used for common household and industrial purposes. These include paint thinners and removers, dry-cleaning fluids, degreasers, gasoline, glues, correction fluids, and felt-tip markers. Aerosols are sprays that contain propellants and solvents. They include spray paints, deodorant and hair sprays, vegetable oil sprays for cooking, and fabric protector sprays. Gases include medical anesthetics as well as gases used in household or commercial products. Medical anesthetics include ether, chloroform, halothane, and nitrous oxide (commonly called "laughing gas"). Nitrous oxide is the most abused of these gases and can be found in whipped cream dispensers and products that boost octane levels in racing cars. Other household or commercial products containing gases include butane lighters, propane tanks, and refrigerants. Nitrites often are considered a special class of inhalants. Unlike most other inhalants, which act directly on the central nervous system (CNS), nitrites act primarily to dilate blood vessels and relax the muscles. While other inhalants are used to alter mood, nitrites are used primarily as sexual enhancers. Nitrites include cyclohexyl nitrite, isoamyl (amyl) nitrite, and isobutyl (butyl) nitrite and are commonly known as "poppers" or "snappers." Amyl nitrite is used in certain diagnostic procedures and was prescribed in the past to treat some patients for heart pain. Nitrites now are prohibited by the Consumer Product Safety Commission but can still be found, sold in small bottles labeled as "video head cleaner," "room odorizer," "leather cleaner," or "liquid aroma." Generally, inhalant abusers will abuse any available substance. However, effects produced by individual inhalants vary, and some users will go out of their way to obtain their favorite inhalant. For example, in certain parts of the country, "Texas shoeshine," a shoe-shining spray containing the chemical toluene, is a local favorite.